Fatgirl Hedonist: Win tickets for 2 to check out Miami Culinary Tours in Little Havana! Win tickets for 2 to check out Miami Culinary Tours in Little Havana! Little Havana is a strip of land us locals often taken for granted. We know there's history there, but not many of us actually take the time to walk around and soak in the historical value of this neighborhood. The folks at Miami Culinary Tours offer attendants that opportunity by hosting a two hour walking tour of this great neighborhood. While the focus of the tour is of course the culinary oasis that is Little Havana, while on the tour you'll be able to check out the domino park, watch cigar rollers and check out local art. Attendants will enjoy a traditional Cuban sandwich, a juicy picadillo empanadas made from a family recipe that has been passed down through many Cuban generations. Then they'll savor a chicken toston (stuffed plantain cup) and step back into old Cuba with freshly squeezed guarapo juice at a family run fruteria. After that, folks on the tour have some iconic guava pastelito at a local bakery and sip on cafecito Cubano at a ventanita. Finally, it's off to Azucar Ice Cream Company for some homemade mamey or flan ice cream. The team at Miami Culinary Tours promises that you will not walk away from this lunch tour hungry. 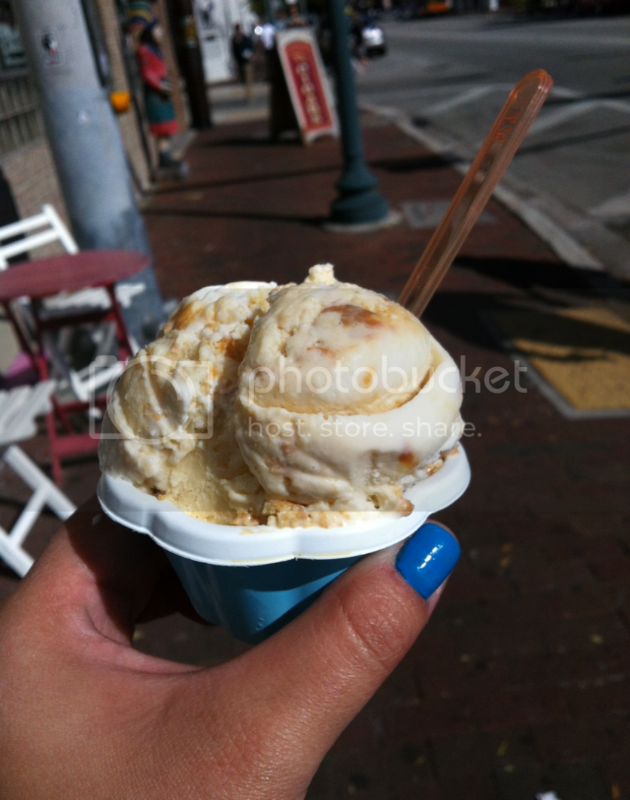 Quatro Leches Ice Cream From Azucar. Luckily for you, I've teamed up with these fine folks to offer tickets for two to jump on the Little Havana Tour. Maybe La Pequeña Habana isn't your style, well Miami Culinary Tours also offers tours in Wynwood and South Beach with prices ranging between $59-$69 per person. The lucky winner will be selected on May 19, 2014! Good Luck!! I am would look forward to Azucar Ice Cream Company! Would love to try the flan flavor ice cream! Lets finally get a win!!!! Team Me!!!! I love food! Especially Cuban food! I LOVE Azucar! I am dying to try everything on the tour! Love me some Cuban food!